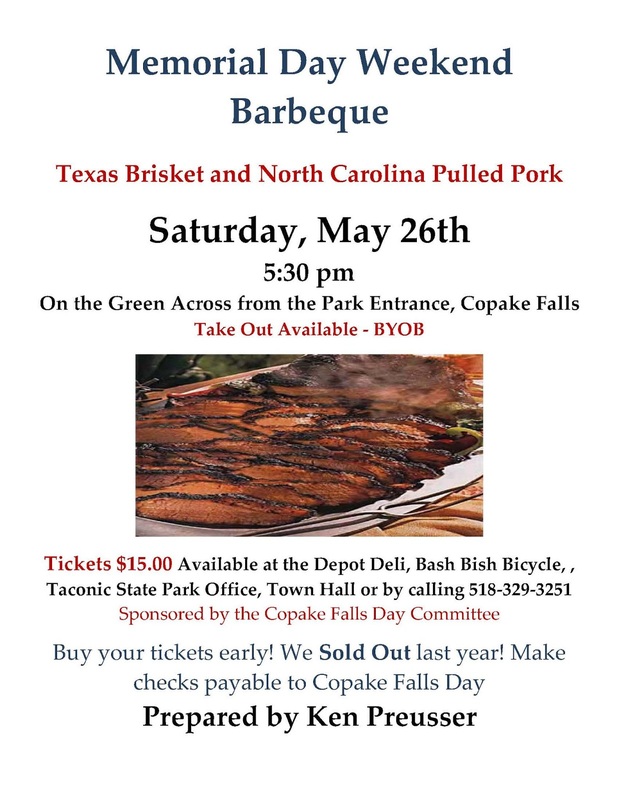 Copake Falls Day: Memorial Day BBQ is next weekend! Sat, 5/26, at 5:30 pm. Get your tickets! 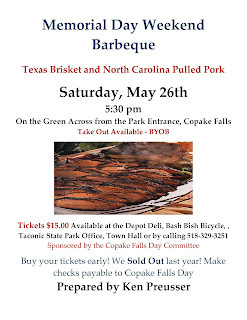 Memorial Day BBQ is next weekend! Sat, 5/26, at 5:30 pm. Get your tickets!